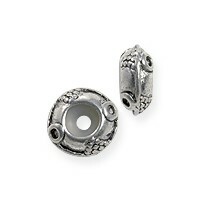 Stopper beads are stretchy beads used as bead bumpers or to your beads snug and secure. 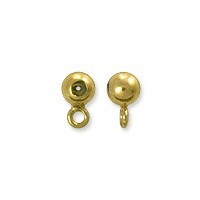 Bead Stoppers are small rubber beads that can be strung between delicate beads, allowing you to string with beading wire in addition to silk or nylon cord. Bead Stoppers are great for holding other beads in place, plus they act as cushions between delicate beads to prevent scratching or rubbing. When stringing on bead cord, try using Bead Stoppers to separate the beads instead of knots. Its faster, easier, and gives a great finished look. Smart Beads designed with a silicone center and, when strung on cord or wire, stays exactly where you place it. In turn, the Smart Beads keep all the other “less smart” beads securely in place.